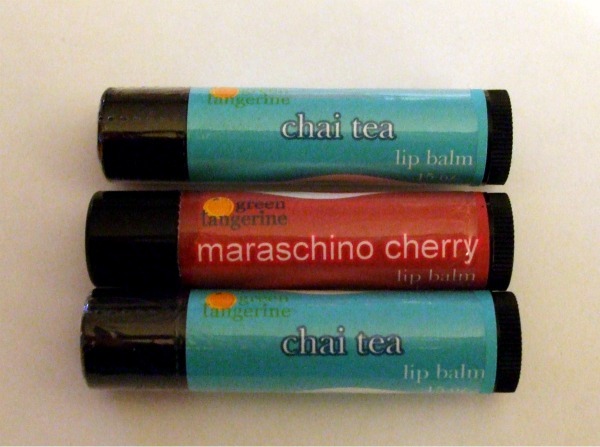 CoolCanucks Blog Contest ~ Green Tangerine Review & Giveaway!! Green Tan­ger­ine is one of my newest dis­cov­er­ies and I am so happy that I found this amaz­ing online store. The owner very kindly sent me a wide vari­ety of prod­ucts to try out and review for the won­der­ful read­ers at CoolCanucks. 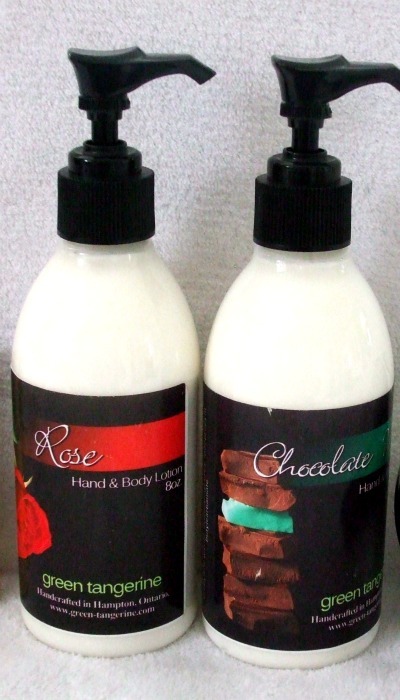 Green Tan­ger­ine is a Cana­dian online store based in Hamp­ton, Ontario Canada that sells all kinds of lotions, balms, bath prod­ucts and body fra­grances in a wide array of deca­dent fra­grances that are sure to tan­ta­lize your senses. I really like that the ingre­di­ents for the Green Tan­gerine prod­ucts are nat­ural, envi­ron­men­tally friendly and handcrafted. Sat­suma Guava Body Lotion: I was very impressed with this body lotion. I decided to bring this one to work so that some of my cowork­ers could try it is as well and they were as impressed as I was with this prod­uct. The fra­grance is not heavy or over­whelm­ing. When applies it is light and eas­ily absorbed. 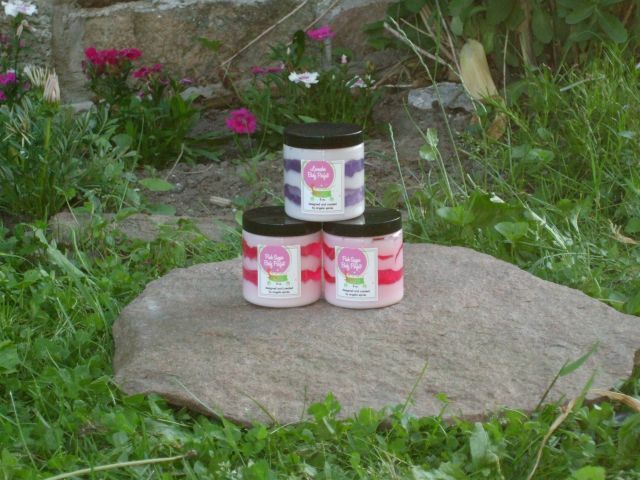 My hands did not have an oily or greasy residue after apply­ing and left my hands feel­ing soft and smooth. I am totally hooked on this lotion and the scent! Sat­suma Guava Body But­ter: I really loved using this prod­uct after I got out of the shower every morn­ing and I applied it all over my body. The refresh­ing orange scent was per­fect to perk me up first thing in the morn­ing which is always a good thing. The fra­grance just like the body lotion is not over­whelm­ing and it left my skin feel­ing soft and silky smooth. Pink Sugar Roller Per­fume: I love scents that remind me of sweet food and this one really fits the bill. The pink sugar fra­grance smells so yummy that it is almost good enough to eat. 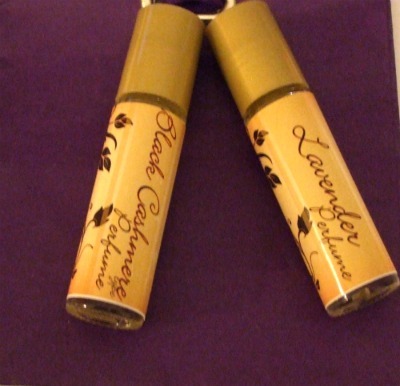 I also really like that the per­fume roller is small enough so you can stick it in your purse and take it with you every­where. Always handy when you want to pick me up and want to smell good! Here is a com­plete list of the fra­grances offered…one to suit every mood or occasion! A slightly sweet scent with vanilla under­tones. Very pop­u­lar with the teens! A very fresh scent of lime and ver­bena with just a hint of coconut. Always a favourite with young and old. Rem­i­nis­cent of old Eng­lish gardens. San­dal­wood and vanilla com­bined, giv­ing this scent a very grown up seduc­tive fragrance. No chem­i­cal under­tone here, smells like lilacs just picked off the tree. Enjoy Spring all year round. A very fresh light fra­grance has the hint of sweet­ness of a fresh ripened pear. An all time cus­tomer favourite cit­rusy sat­suma scent, very unisex. A new favourite. White tea mixed with a sub­tle gin­ger. A very orig­i­nal scent with just enough zip. Angela from Green Tan­ger­ine has also offered a very spe­cial bonus to our Cool­Canucks read­ers who place an online order. 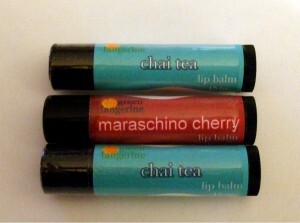 If you place an order you will receive a lip balm free of charge! Once the order has been placed send your info in the con­tact tab of the site with your order info, let her know that you are order­ing via the Cool­Canucks review and the flavour of lip balm you would like. Green Tan­ger­ine has gra­ciously offered to give away the same items that I was able to review to one lucky Cool­Canucks reader and I hope that you love each and every one as much as I do!! Win It!! Enter my sweep­stakes give­away below for a chance to win a Green Tan­ger­ine Beauty Prize Pack! Open to Cana­dian and US residents. How to enter: All entries must be sub­mit­ted using the Raf­fle­copter form below. After you com­plete the easy manda­tory entry, you can do as many bonus entries as you’d like to increase your chances of win­ning. I will be check­ing for dupli­cate entries to make sure it’s fair, and no cheat­ing will be tolerated!